App developers, service providers and system integrators well placed as vendor launches collaboration platform. 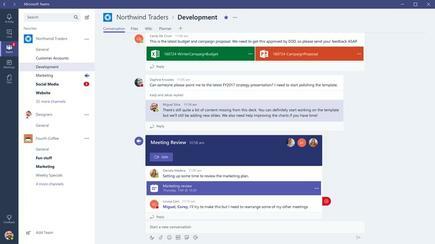 Microsoft has officially released Microsoft Teams to the New Zealand market, creating new revenue streams for the channel around the chat-based workspace in Office 365. In taking on industry rival Slack, the new tool for team collaboration is now available to Office 365 users at no additional cost, with New Zealand hoping to feel the effects of early global market momentum. Available across 181 markets and 19 languages, more than 50,000 organisations have started using Teams since Redmond announced the preview in November, including key customers such as Alaska Airlines, Deloitte, Expedia, Sage and Trek Bicycle. Despite a lack of Kiwi case studies to draw on at this stage, the tech giant is throwing down the gauntlet to Slack and other chat-vases workspace providers, bolstered by the addition of over 100 new features in less than six months. Specifically, and of interest to local partners, Microsoft has unveiled an enhanced meeting experience with scheduling capabilities, alongside mobile audio calling, email integration and new security and compliance capabilities. The vendor has also delivered new features to make Teams more accessible, such as support for screen readers, and high contrast and keyboard-only navigation, with guest access capabilities and deeper integration with Outlook targeted for June of this year. 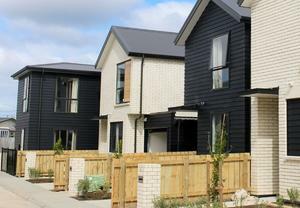 From a New Zealand perspective, customers are considering Teams over Slack - a multi-billion-dollar Silicon Valley start-up - in a bid to boost collaboration capabilities across the workforce, while tapping into the potential of Office 365. “There are three main reasons customers tell us they choose Microsoft Teams over Slack,” Microsoft New Zealand Office Marketing Group Lead, Mark Walton, explained to Reseller News. In New Zealand, Microsoft has strong Office 365 support, creating an environment capable of fostering deeper levels of alignment with Teams, allowing partners to pursue new revenue streams as a result. In addition, Microsoft also emphasised the security and compliance features of its new product, highlighting the capabilities of the underlying Office 365 services. Data is encrypted in transit and at rest, with the vendor set to support compliance standards, including EU Model Clauses, ISO 27001, SOC 2, and HIPAA. “Advanced security and compliance capabilities are built in,” Walton told Reseller News. “Data is encrypted at all times. In addition, Walton told Reseller News that Microsoft has also added new features for compliance and litigation support, including compliance content search, eDiscovery and legal hold. “Teams service is delivered via our hyper-scale global network of data centres, automatically provisioned within Office 365, and managed centrally just as another Office 365 service,” he added. From a partner perspective, Teams is well suited to application developers, service providers and system integrators, as the channel seeks ways to monetise Microsoft’s latest workplace collaboration platform. 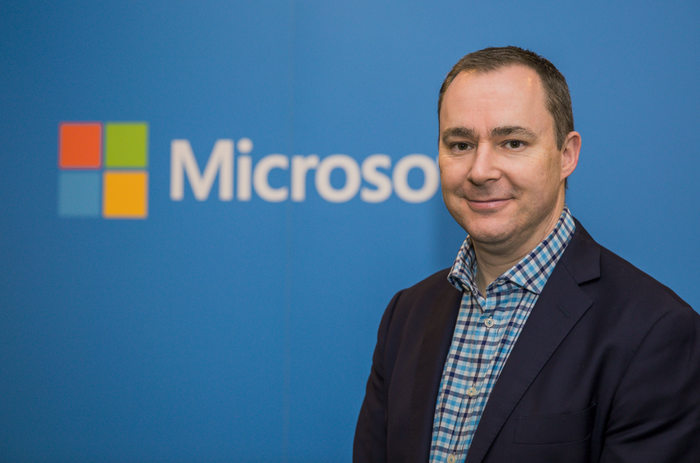 “Microsoft Teams is another example of how we’re extending the value of Office 365 with various applications brought together into one unified view and communications environment allowing customers to expand their collaboration capabilities,” Microsoft New Zealand Director of SMB, Mid-market and Partners, Phil Goldie, told Reseller News. For Goldie, there are many ways partners can leverage Teams, spanning collaboration and applications across the vendor’s wider channel base. “Firstly, it’s a great way to collaborate with customers around key projects and services so using the technology is one way,” he explained. “Partners can also expand their own support for their clients by using Teams open APIs to develop custom applications, build rich integration and surface applications through available bots, tabs, and connectors. Specific to the channel, Goldie said Teams can be added as an extended part of the portfolio for system integrators and managed service providers, forming part of the overall capability of the Office 365 platform. “It’s also a great example of the ability to build user training and adoption services around end to end collaboration,” Goldie explained. While Teams is unlikely to win the hearts and minds of dedicated Slack users, through Office 365 savvy partners, Microsoft aims to leverage its channel to create new levels of market value across the country. “It is early days yet, but our most of our partners are already advanced users of Office 365 so I’m sure they will have a serious look at Teams for their own productivity,” Goldie added.